Samo provides you with all the tools and advice to create a tailor-made product for your projects. Do you have a room with impossible measures? We will be able to give you a tailor-made shower stall. The new digital printing technology on glass is an advanced technique that allows printing on tempered glass sheets, images, photographs, drawings and artwork received through digital media. 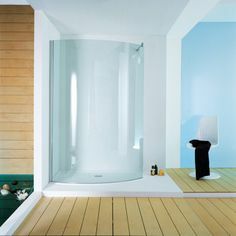 “Flush glass panel”, which makes the crystal panel disappear into the glass structure.